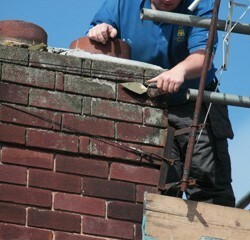 If you’re concerned about loose bricks or a shaky looking chimney pot then don’t let your roof become a genuine hazard; speaking to us today and tackling the problem will give you peace of mind and make your chimney secure once again. Our whole outlook is based around you, starting with a completely free quote. Then we’ll come and sort your chimney repair with speed and skill, making sure we work with consideration and safety as the uppermost priorities. Call us on 0115 815 7004. Our company started in 2001, so we’re well seasoned when it comes to chimney repairs. We have extensive experience right across Nottingham, so you can rely on us to do the job, as our happy customers will testify. We are waiting for your call, and happy to discuss any chimney repair work you need doing, or any other roofing work you require.